John Tamihere - JT as is he is affectionately known - is one of Māoridom’s greatest enigmas. Whether it has been battling in the political arena, where JT served two terms as a Government Minister or going toe-to-toe with iwi leadership over the rights of urban Māori, JT has never waivered from advocating for the rights and mana of his people. Brought up by a rugby league loving Māori father and staunchly Catholic Pākehā mother, JT’s parents were a huge influence and encouraging force in his life. Born 10th of 12 children, JT was the first to attend university, graduating with a double degree in arts and law. In 1988, he was the youngest Regional Manager, Department of Māori Affairs and the youngest District Solicitor for Waikato Maniapoto Land District. JT was appointed as CEO of West Auckland’s Waipareira Trust as Waitangi Treaty settlements with the Crown were being settled. But urban Māori were given no concessions or rights and JT, despite his own iwi affiliations, took the Wai414 Claim to the Waitangi Tribunal and later the Privvy Council in London to address this injustice. The legal ruling of the Wai414 Claim recognised urban Māori under the Treaty. That win catapulted JT into politics and he easily won the Hauraki Electorate for Labour, also appointed Chair of the Māori Affairs Select Comittee. There was consensus that JT would become our first Māori Prime Minister, after winning the Tāmaki Makaurau seat in 2002 and promoted to Cabinet, that view seemed on track. In 2005, JT left parliament, returning to Whānau Waipareira, where he has grown the organisation’s balance sheet by 90%, while establishing Waipareira as a local, national and internationally recognised whānau, who deploy services across an integrated framework. He has also led the establishment of North Island Whānau Ora Commissioning Agency Te Pou Matakana. 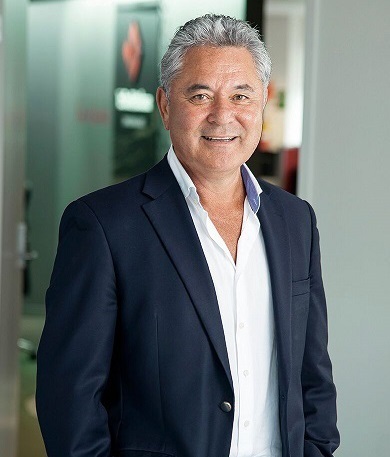 JT remains lead negotiator Ngāti Porou ki Hauraki and Chair of Ngāti Porou ki Hauraki and a Māori appointment on the Māori TV Board. JT’s vision, leadership and genuine crossover appeal with Pākehā, has become a loss to politics but a major victory for urban Māori.